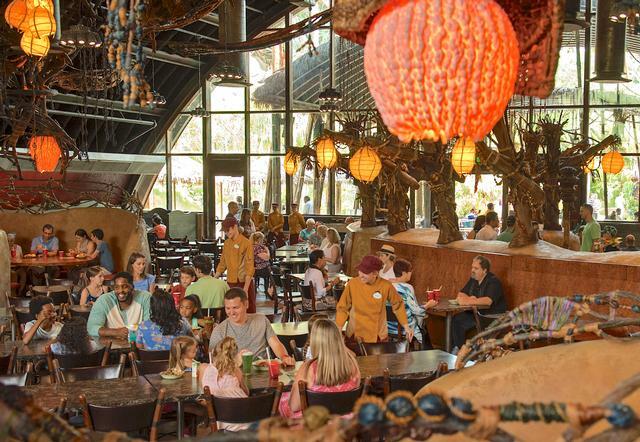 Satu'li Canteen is a counter service restaurant in Pandora: The World of Avatar at Disney's Animal Kingdom. It's a top quality meal. We sampled a bit of everything and found this counter service restaurant to be among the best in the theme park business. Excellent value as well (for a them park meal). Order ahead on Disney's mobile app to save time! The power salad was one of the best salads I have had in my life! Very fresh, wonderful colors and textures. This is highly recommended...My wife and I plan to have one every visit to Pandora and AK. I typically go to AK and Pandora 15 to 25 times a year. I love the theming of this restaurant, but the beef dinner that I got was hard to chew. Order something else, and enjoy your surroundings.